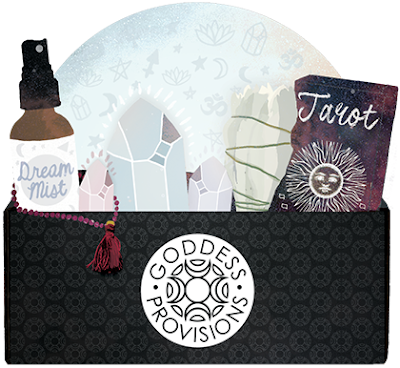 Goddess Provisions box - "Monthly box with tools to nourish your inner goddess and grow your spiritual practice." Get your loved one (or yourself!) some witchy accoutrements in this lovely monthly box subscription! All the items are cruelty-free and vegan, and you know it is a quality box as it is curated by the same couple who does the popular Vegan Cuts monthly snack and beauty subscription boxes! Read my review of this box! Lunatick Cosmetics Lab - All vegan independent beauty line with some killer packaging and to-die-for color palettes that just pop! 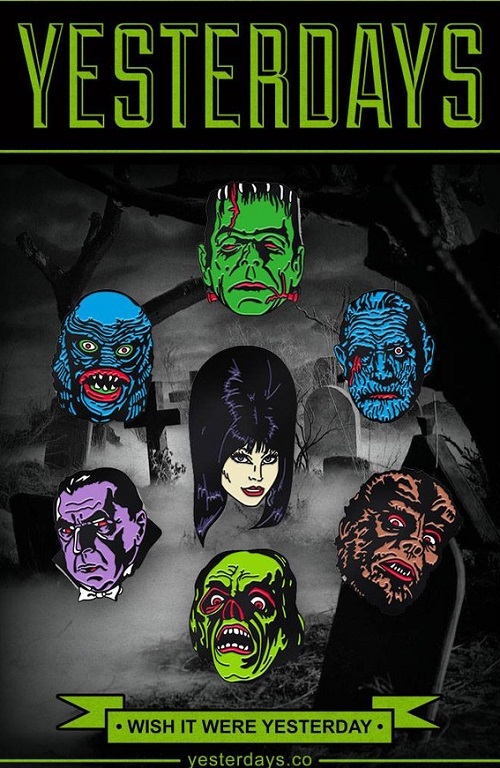 Their makeup comes in awesome cases shaped like coffins, ouija board planchettes, and decorated with bats, moons, and other spooky icons. And their lipstick colors are swoon-worthy! 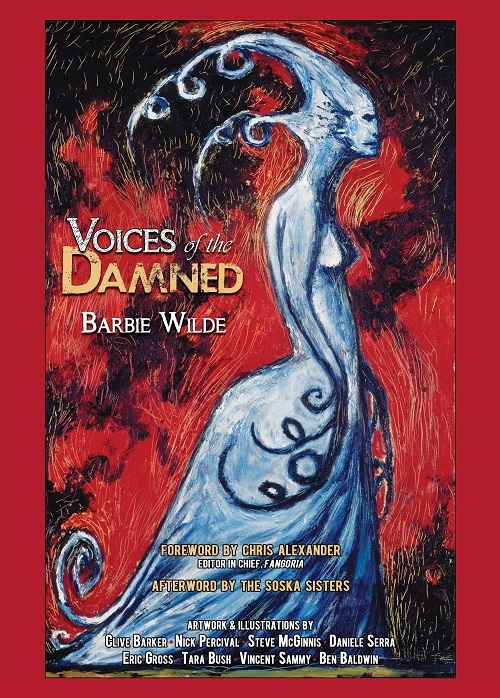 Voices of the Damned by Barbie Wilde - This book contains eleven short horror stories from Barbie Wilde, whose previous work includes the novel The Venus Complex and acting in Hellbound: Hellraiser II among other films. Her erotically charged horror stories are accompanied by full color artwork created by some of the most imaginative artists in the genre: Clive Barker, Nick Percival, Steve McGinnis, Daniele Serra, Eric Gross, Tara Bush, Vincent Sammy, and Ben Baldwin. 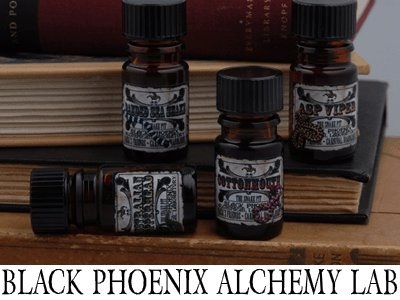 Black Phoenix Alchemy Lab Perfumes - Their unique scents inspired by myths, legends, fairy tales, horror stories, and so on are coveted wide and far. Their newest collection is inspired by the gothically gorgeous Crimson Peak, and that collection in itself is drool-worthy. BPAL has many, many other scents, and their collection is truly dizzying! Swoon-worthy scents for those of us that like the strange and unusual. Jeremy Hush Art - I am transfixed by Jeremy Hush's illustrations, like his recent Memento Mori done in ballpoint pen and watercolor above, They feel like beautiful fantasy illustrations with a touch of a naturalist's perspective and delightful macabre details, if that makes any sense. I could stare at them for hours, and one day hope to hang a Hush original in my home. 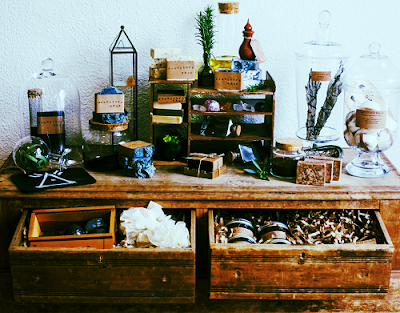 Occulture Shop - This is a local Orange County company that makes all sorts of bewitching soaps in intriguing scents like Black Pearl (rosemary and peppermint), Black Opium (eucalyptus and lime), Tar (cedarwood, clove, and activated charcoal), and others. If you are local, they are often at the DTSA farmer's market, but you can also order their soaps online. 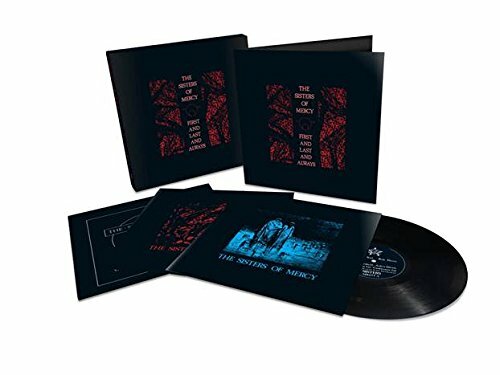 Sisters of Mercy Vinyl Box Sets - Two box sets are available, one a Floodland Era Collection and the other a First And Last And Always Era Collection. Both sets come with four vinyl LPs and include the whole studio album along with different versions of singles, additional tracks, original recordings, B-sides, etc. and look absolutely gorgeous! 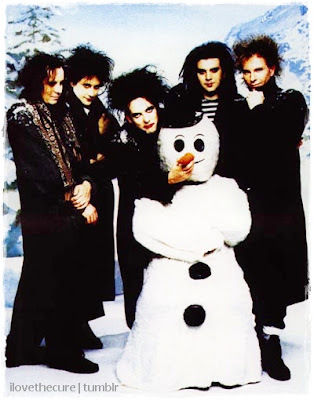 The Cure 2016 Tour Tickets - If you really want to impress someone, spring for tickets for The Cure's 2016 tour! Many dates are already on sale, so don't delay. Black Moon Cosmetics - This new company just launched this autumn with its line of Liquid to Matte lipsticks, which look amazing! They have lipsticks in colors like Purgatory and Deranged, and all are cruelty-free and vegan! I love the look of their packaging as well, and can't wait until they release more items. Yesterdays' Maniac Monsters Pin Pack - For the monster kid lurking in all of us, I love these neon monster pins (plus the Mistress of the Dark herself, Elvira!!) by Yesterday's, a local, Orange County pin company. They make a lot of other great pins (I NEED their sold-out Ecto-Cooler pin!) and even do artist collaborations. Stay Home Club - Illustrated apparel and accessories for your favorite recluse, Stay Home Club has rad tees, sweatshirts, patches and more to adequately express to the world (if you venture out in it) how you really feel. 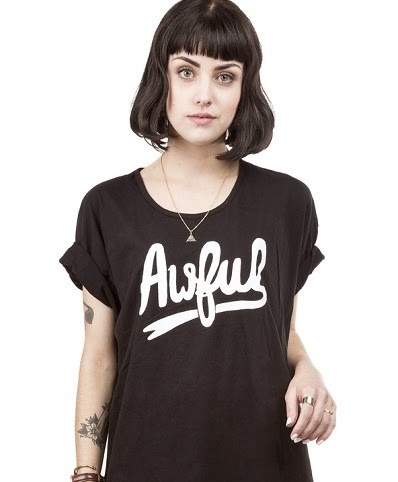 And I WANT EVERYTHING THEY MAKE, from their "Awful" loose tees to their "Stay Home Club" sweatshirts to their new line (which is already sold out) emblazoned with a perfect little house in the wilderness and the text "Happy Alone". Nicomi Nix Turner's "The Nihilist and The Gods"
Nicomi Nix Turner Art - Another stunning artist whom I adore! Her naturalist style (I don't know if that is the correct term - I am no art major!) 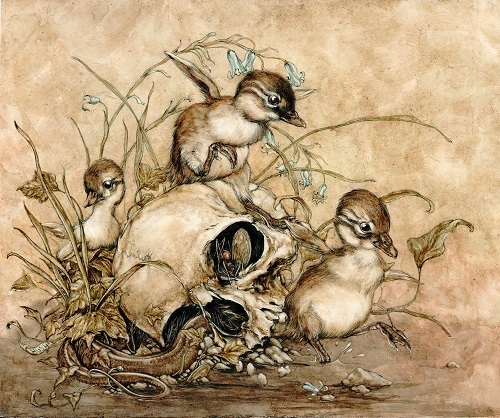 is coupled with dark undertones, and her art is incredible detailed and gorgeous. I am lucky to have some small prints of hers, but one day I would love to purchase an original! Frightwares Jewelry - This is another independent, local company in Orange County, run by a lovely lady that makes fabulous jewelry and accessories for spooky ghouls. I love the cameo necklaces, and recently they've released some wicked chokers and other accessories! Moon Craft Emporium - I recently discovered this shop through their Instagram, and am thrilled by their collection of herbal bath treatments, from soaking salts to soap to bath teas to bath bombs and so on. And their packaging just adds to the lovely, whimsically witchy feel of these vegan, cruelty-free items! Sophi Reaptress Designs - Sophi Reaptress Designs makes creepy-cute patterned leggings and other hauntingly beautiful clothing, including deep hoods and capes in sweeping fabrics that create a darkly mysterious and romantic look. Most, if not all, of the clothing is cruelty-free and vegan as only faux leather and synthetic or cotton fabric is used in the designs (though, as always, check the labels before you purchase). 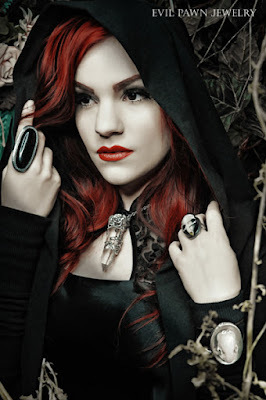 Evil Pawn Jewelry - Gorgeous crystals and stunning crystal and stone jewelry for all your needs! Collections are released seasonally with unique and stunning pieces, and their Instagram is filled with information about the healing properties of crystals and beautiful anecdotes from the creator's personal life. i own purgatory by black moon and love it! i love the rest of your picks as well - cool art and gems! Great list. Never heard of most of these. Soaps, bath salts, and fragrances look divine! What a fantastic gift guide! Definitely going to have to swoop in on the SoM box set.